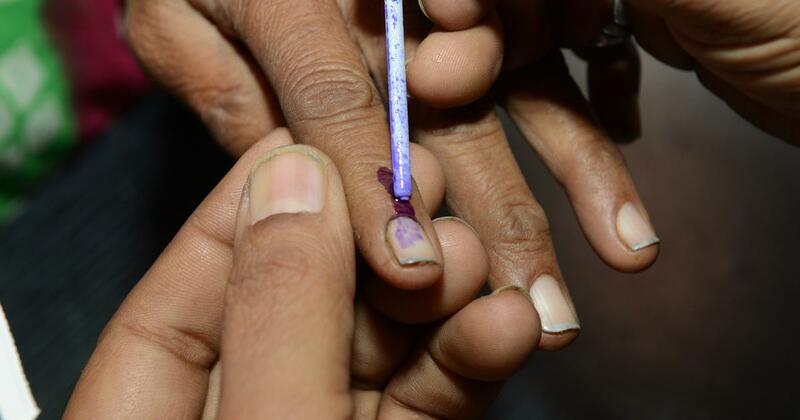 Among the Assembly constituencies, 58.82% voter turnout was recorded till 3 pm in Jamkhandi and 54.76% in Ramanagara. Published 8 hours ago Updated 3 minutes ago. Voting for bye-elections in Karnataka’s three Lok Sabha seats – Shivamogga, Ballari and Mandya – and two state Assembly seats – Ramanagara and Jamkhandi – began on Saturday morning. The votes will be counted on November 6. A voter turnout of 47% was recorded in Ballari till 3 pm, 41.49% in Shivamogga and 37.7% in Mandya, ANI reported. 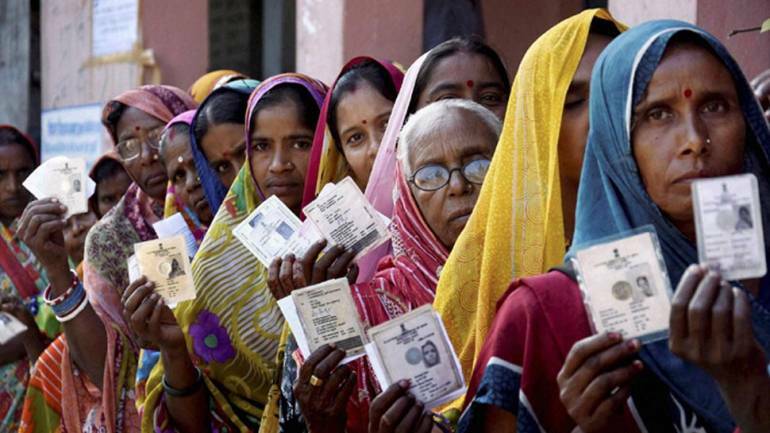 Among the Assembly constituencies, 58.82% voter turnout was recorded till 3 pm in Jamkhandi and 54.76% in Ramanagara. 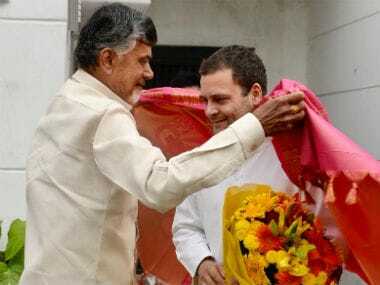 The Congress and the Janata Dal (Secular), which are members of the ruling alliance, have decided to fight the bye-elections together against the Bharatiya Janata Party. While the Congress has fielded its candidates in the Jamkhandi Assembly seat and the Ballari Lok Sabha seat, the Janata Dal (Secular) has fielded candidates in the Shivamogga and Mandya Lok Sabha seats and the Ramanagara Assembly seat. Unidentified officials at the state chief electoral officer’s office said 1,502 polling stations were in the “sensitive category”, PTI reported. Thirty-one candidates are contesting for seats in the five constituencies and 54,54,275 voters are eligible to vote in the designated 6,450 polling stations. 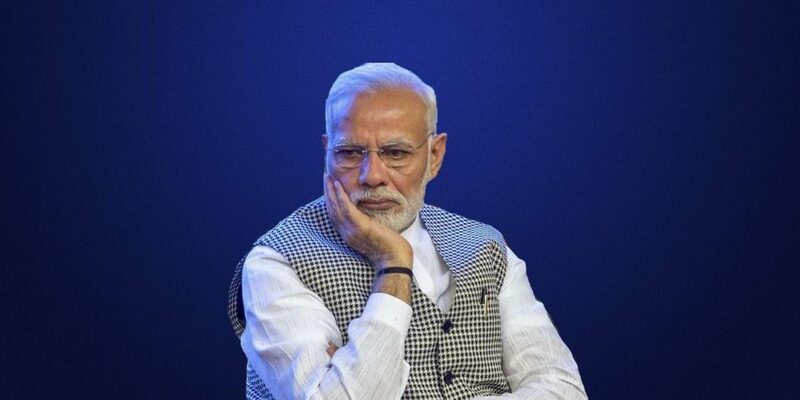 On Friday, the BJP petitioned the Election Commission to countermand the bye-election in Ramanagara constituency days after its candidate dropped out of the contest and rejoined the Congress. L Chandrashekhar, who was set to go up against Karnataka Chief Minister HD Kumaraswamy’s wife Anita Kumaraswamy, claimed to have withdrawn from the election as he was worried about his future in the BJP and accused the party of abandoning him after giving him the ticket. Election Commission officials reportedly refused entry to BJP polling agents to voting stations in Ramanagara citing the party’s lack of a candidate in the constituency, News18 reported. Congress’ Anand Nyamagowda is contesting against BJP candidate Srikant Kulkarni in Jamkhandi. In Ballari, BJP leader Sriramulu’s sister J Shantha is up against Congress’ VS Ugrappa. BY Raghavendra, son of BS Yeddyurappa, is contesting against Congress candidate Madhu Bangarappa in Shivamogga. In the Janata Dal (Secular)’s bastion Mandya, Congress candidate Shivarame Gowda is pitted against the BJP’s Dr Siddaramaiah, who is a retired commercial tax officer. Bye-elections were necessitated in Shivamogga, Mandya and Ballari Lok Sabha seats after their MPs Yeddyurappa, Sriramulu and CS Puttaraju resigned ahead of Assembly elections in May 2018. The Ramanagar seat fell vacant after Chief Minister HD Kumaraswamy gave up the constituency for Chennapatna, the other constituency from where he had won the Assembly elections. The bye-polls to Jamkhandi Assembly seat were necessitated after the death of Congress MLA Siddu Nyamagouda.